The runaway hit Hyundai Creta now has a petrol automatic in its kitty. When the Creta was launched in 2015, it was available in three powertrains: a 1.4-litre diesel with a manual gearbox, a 1.6-litre diesel with a manual and automatic box, and a 1.6-litre petrol with a manual. The petrol automatic will ensure that the Creta has the most widespread engine-gearbox options currently available in its segment. 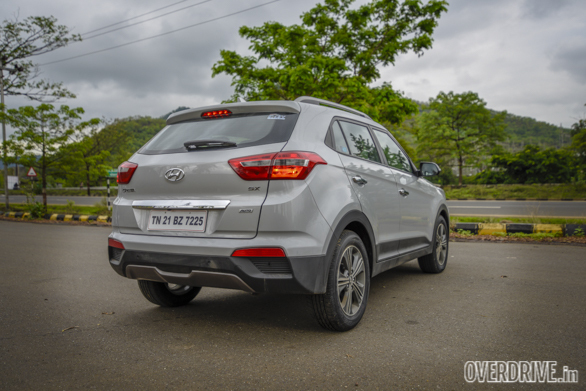 The Hyundai Creta petrol automatic, needless to say, looks the same as the rest of its clan. There are also no badges to suggest that this is a petrol. 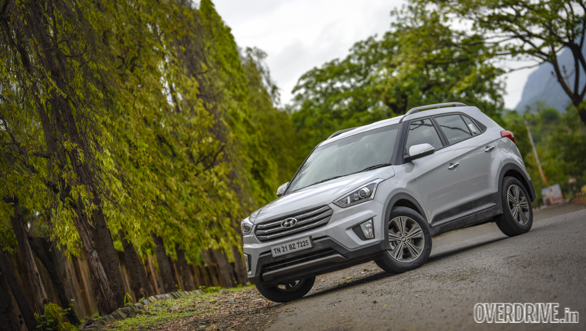 Despite the fact that the Creta has become a common sight, it still manages to catch the eye with its handsome design. The cabin though still looks modern and feels premium. The switches and other controls also fall easily to hand. The large touchscreen infotainment system, projector headlights, cornering lamps, push button start, comfortable seating for five and ample amount of space for their luggage are all a given. On to the driving experience, then. Fire up the engine and you will hear nothing. At idle, it's hard to say if the engine is running or not. 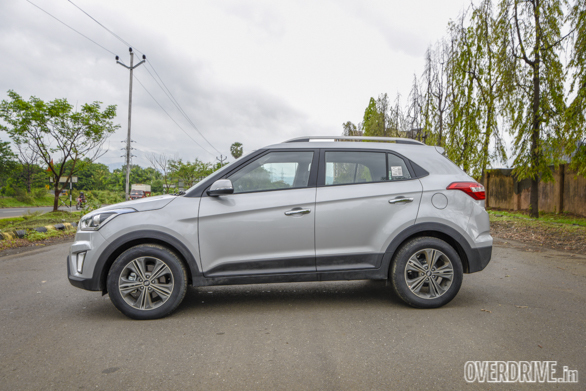 The Hyundai Creta petrol is one of the most silent engines I have experienced in a sub-Rs 15 lakh vehicle. The NVH inside the cabin is also brilliantly damped, and on the move the engine gets loud only upwards of 4,500rpm when you stomp on the accelerator. Speaking of acceleration, the Hyundai Creta 123PS petrol automatic managed the 0-100kmph run in 12.6s in the damp and hits a top speed around 160kmph. In the city, the Creta petrol automatic returned a fuel efficiency of 8.87kmpl, which stretches to 11.8kmpl on the highway. The 6-speed torque converter is smooth and shifts gears seamlessly. The gearbox does feel a tad slow only when you put pedal to metal. Upshifts are reasonably quick, but it's the downshift that takes a bit of time to react. That being said, when you want to make some quick getaway, shifting gears manually works better. In other conditions, the Creta petrol auto will manage the job quite well. Driving the Creta reminded me why I fell in love with it the first time I had to bring our long-term vehicle from Pune to Mumbai. The ride quality is brilliant, and the car just wafts through all the damage the first monsoon has so easily wreaked on our roads. It isolates you well from the road and results in a more comfy, relaxed driving experience. What I didn't like though is the fact that the Creta doesn't feel as premium as other Hyundais. The auto transmission version doesn't come in top O trim. To top it off, even that model doesn't get auto-locking doors, auto-dimming IRVM, folding mirrors (when you lock the car), auto headlamps and wipers, and so on. 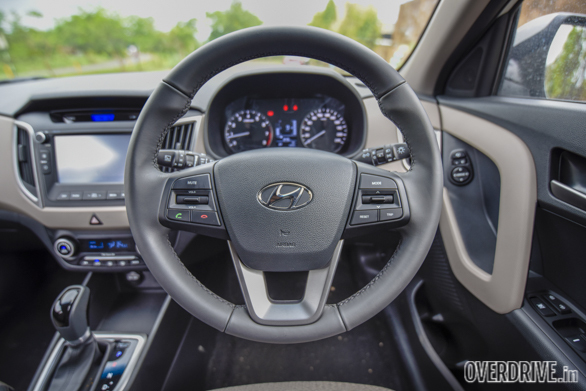 The much cheaper Hyundai Grand i10 as well as Elite i20 offer these features. Being the SX+ model, you only get two airbags in the Creta petrol automatic instead of six. At Rs 15.66 lakh (on-road, Mumbai), the Creta petrol auto is not exactly affordable. The similarly specced Ford EcoSport is priced nearly Rs 4 lakh less than the Hyundai Creta. The Honda BR-V automatic in the meanwhile, with an extra set of seats, is a lakh cheaper. However, that is a story for another day. In the meanwhile, if you're looking for a premium-looking everyday runabout which can also tackle the highways with ease, the Hyundai Creta petrol automatic is the one for you.